We've known for a while that Marvel had plans for Doctor Strange. They have a director in Scott Derrickson and rumors about who will play the Sorcerer Supreme have been going wild (read our latest article on it here). While many were hoping that a confirmation as to who will play the role, we did get an official release date for the movie. Lately, the big Doctor Strange rumor has been that Benedict Cumberbatch, who was rumored before (and my personal pick) was in final negotiations for the role, but Feige stated that's not the case. While he didn't confirm nor deny that they were in negotiations with Cumberbatch, he did say that he is not confirmed for the role... yet. Originally, Guardians of the Galaxy 2 was set to come out in July of 2017 but now, it is officially moved to the prime spot of May 2017. That May spot is big for comic book movies so it makes sense they would take what will surely be a huge hit to a spot that will only make it do better. What's interesting is that they didn't reveal a subtitle. For all the other projects announced today, Marvel gave us subtitles except for this one, simply calling it Guardians of the Galaxy 2. They may just call it that, as they did with the Iron Man franchise, but it seems Marvel is big on having subtitles in their sequels right now, so it's interesting. You can read our review for Guardians of the Galaxy here. Guardians of the Galaxy 2 originally had the July, 2017 spot, which has now been taken by Thor 3. A lot of fans have speculated that it would involve the Ragnarok story line, which seems now to be the case. The most surprising thing to me is that I thought they would release this film in November, like they did with Thor: The Dark World. All it means is more Thor sooner. Here's where the announcements start to get really interesting. We've all been waiting on the edge of our seats for Marvel to announce a Black Panther film. Today, they did. This will be Marvel Studio's first movie with a black lead. Not only did they officially announce they were making the movie... but they also told us who will play him. Chadwick Boseman will play T'Challa. Boseman with Chris Evans and Robert Downey Jr.
Interestingly enough, Boseman will first (officially) appear as Black Panther in Captain America: Civil War. It is said he will show up in full costume, so it leaves many to wonder if we'll be seeing him before Civil War... perhaps in Age of Ultron? Along with the announcement of the movie and Boseman was a piece of concept art, showing us the costume design for Black Panther. After Variety broke the story about Civil War, many people thought that Avengers 3 would deal with that story line (Cap 3 being the launchpad of the story) and Avengers 4 involving Thanos and the Infinity Gauntlet. However, now we know that Civil War will only pertain to Captain America 3 and that the Infinity Gauntlet story will be stretched over two movies: Infinity War Part 1 and 2. A report had come out a while ago that "Avengers 3 will be split into two films" and immediately that's what people thought of but I think they're just making two movies with the same story arc. 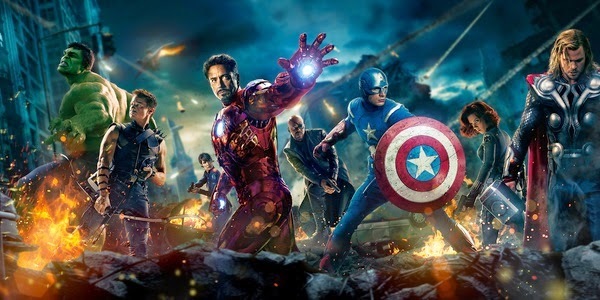 And it makes sense, since, based on the name change to Infinity War, this Avengers film will be epic. Along with Black Panther, people have been speculating and waiting for Marvel to announce a Captain Marvel movie. Now, they have. This is will be Marvel Studio's first female-led movie. I would have preferred them to call it Ms. Marvel as opposed to Captain Marvel, but that's a small criticism. I'm just glad they finally announced it. This one I wasn't really expecting. There had been some speculation, after the success of Guardians of the Galaxy, that Marvel was looking at potentially doing an Inhumans movie, but I doubted it would happen this soon. Well, it is. For those of you who aren't familiar with the comic books, think of the Inhumans as Marvel Studio's X-Men. This could open up such a wide variety of different characters that could be introduced into the Cinematic Universe. This one is very exciting. This will be the concluding act of the Infinity War story line, as well as finish off Phase 3. With Marvel introducing solo films for Captain Marvel and the Inhumans between the two parts of the story, they could potentially have those characters involved in the second half of the story (if they're not already set up before their solo films). This will probably be the last film for actors such as Robert Downey Jr., Chris Evans and maybe even Chris Hemsworth and Scarlet Johansson. 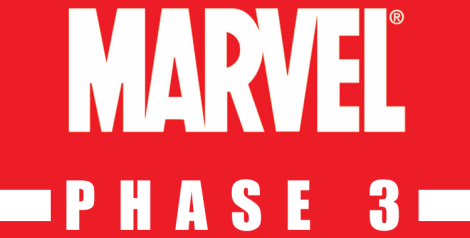 The great thing about Marvel introducing Black Panther, Captain Marvel and the Inhumans is that they can weave out Iron Man, Captain America and others and replace them with new Avengers, to accurately achieve the feel of the comics where characters would weave in and out of Avengers comics. The lack of Hulk and Black Widow news is evident, and Kevin Feige stated that they don't have any plans at the moment for the characters. What do you think? Are you excited about Captain America: Civil War and Thor: Ragnarok? What about the announcement of Black Panther, Captain Marvel and Inhumans movies? What are your thoughts on Chadwick Boseman playing T'Challa? How about the shifted release dates of Guardians of the Galaxy 2 and Doctor Strange? And are you excited for a two-part Infinity War story? Leave your thoughts in the comments section below.